On Wednesday, April 10, Columbia College of Missouri-Hancock Field hosted its first career fair. 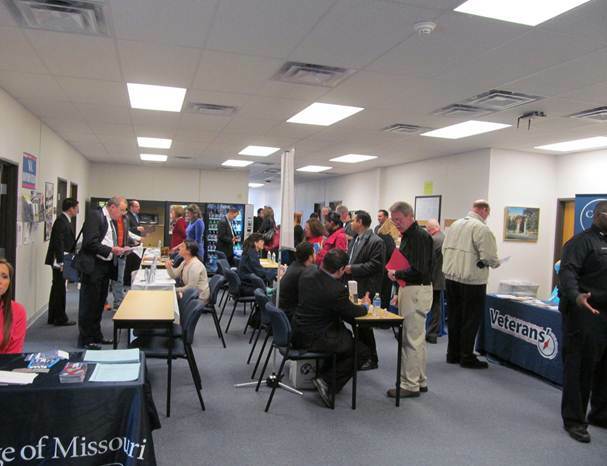 Students and community members alike who sought current and future career opportunities took interest in the event, and were able to meet with various professionals that work in their field of study. In preparing for the event, we reached out to CNY Works for advertising assistance to attract those seeking employment outside of our student base. CNY Works helped spread the word a month prior to the fair. 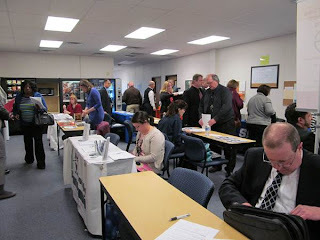 Vendor booths were spread throughout the halls and lounge on campus, as attendees sat at empty tables to fill out applications and take notes. Vendors included Prudential Financial, BNY Mellon, Syracuse Police Department, Fuccillo Automotive Group, AXA Equitable and our own 174th Attack Wing. Vendors were impressed by our campus and the effort put into making the event comfortable and worthwhile - without charge. The event not only helped our local community explore professional interests, but it also shed a positive light on our college and sparked interest in learning more about our programs. Presenting challenges and providing our students with adequate resources only further encourages them to Go for Greater in both the professional world and in life. 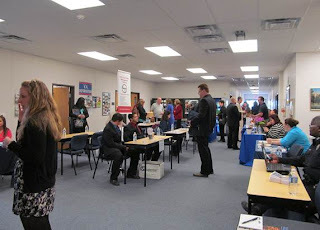 Events such as a well-organized career fair only make Hancock Field a greater place to do so. A special thanks to the Hancock Field staff, and CNY Works for making the event a success.